Alejandra and Adam discuss their favorite performances by the great Anne Hathaway. Adam: Hi Ale! One of the first things we bonded over was our shared admiration of Anne Hathaway. Finding a kindred spirit in this fandom was delightful, because she’s an actress I feel has been underappreciated during her career to date. I’m glad that it seems people are hopping back on board the Annewagon in the past couple of years. She’s stretching her range in interesting ways and I think cleverly playing off some criticisms brought up by some of her detractors. She feels like an old-fashioned movie star in an era (era) where that’s rare. I have a big thesis to about her career, too, but I need to save that for later once we have laid down some context. Why do you think Anne Hathaway rules and what is your first favorite Anne Hathaway performance you want to discuss? Alejandra: Adam, first and foremost I would like to thank The Power of Anne for bringing you and I together in this harmonious writing marriage. I think she rules for so many reasons that I’m excited to discuss with you, and I fell instantly in love with her as Princess Mia Thermopolis of Genovia. I think she means something lifelong to me, because I first saw that movie at age 7 and have really loved to see her career evolve as I myself grew older. I never did, don’t, and ever will understand why so many people have frowned upon so much of her career. Like you, I really am glad everyone seems to be hopping back onboard the Hatha-train, especially after being the highlight of this year’s Ocean’s 8. You and I knew better than to ever leave, though. She is easily one of the best parts of anything she is in, and she can do anything which is really why I love her. She absolutely nails whimsical and lighthearted (Ella Enchanted), but can also move audiences with more powerful performances like that in Les Miserables. That year, I bet all of my friends that Anne Hathaway would win the Oscar or else I would shave my eyebrows. Thank God she did. 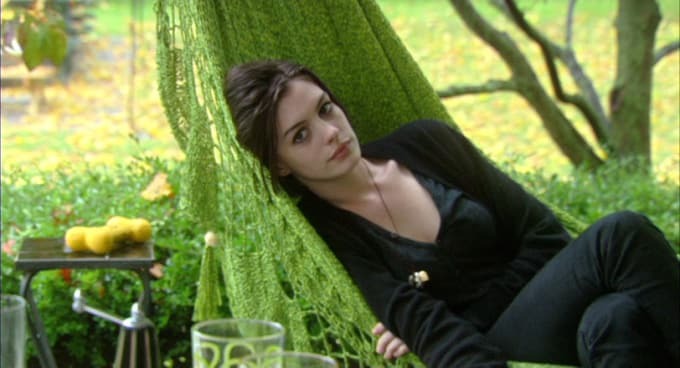 As for my first favorite Anne Hathaway performance? That would probably be The Devil Wears Prada. When you and I were discussing our favorites, I unintentionally left this one out and I don’t know that I can forgive myself. I also don’t know that it’s her best performance, and we’ll talk about which one I do think is her best later, but this is my personal favorite. I don’t mean to sound like I’m comparing myself to Anne freakin’ Hathaway at all, but I see so much of myself in her character, Andy, in this movie. Better yet, I see what I want to be by the end. She’s extremely ambitious and capable, but the movie is so honest in the way it shows the cost of success and the sacrifices women must often make to accomplish what they want. I don’t know that I would have been a better person than Andy was, but I love that the film redefines what success is by the end of her story. Anyway, I digress to Anne – this is a movie that perfectly exemplifies the range we previously discussed. The beginning shows us an innocent, bright eyed mess who is a little naive but has this burning passion about her. Then we are introduced to the same woman who now acts morally questionable and selfishly, but by the end is wise and confident. She plays all three of these versions of the same woman perfectly, and I love every single minute of this movie because of it. What do you think of The Devil Wears Prada? Which Anne performance is YOUR first favorite? Adam: The Devil Wears Prada is a great pick. It’s such an easy film to watch -- all shiny and professional. The secret weapon of that movie is it makes someone like me care about the fashion industry for two hours when I don’t otherwise. It has wall-to-wall good performances, but I agree Anne Hathaway is the standout for me (no offense Emily Blunt, you are also excellent). There’s a great arc for Hathaway’s character, where she feels like a real human being and not just the movie convention of a young woman learning about “the real world” for the first time. She can do better than Adrian Grenier, though. Maybe it’s just 2018 talking, but I’m more annoyed now when male love interests in film are mad because their girlfriend is busy at work. Any designer-outfitted Anne is better than no Anne. Pump your brakes, fellas. The movie feels like a logical step towards more adult roles, which is good because she had gone to the princess well a bunch of times at that point. Then she had a “dirty princess” phase with movies like Havoc. The Devil Wears Prada showed she could be an adult on screen without having to be self-consciously "edgier," I guess is what I’m trying to say. The first favorite performance I’ll mention is her debut as Mia Thermopolis in the original The Princess Diaries. This was Anne Hathaway’s big shot. The movie is built completely around her being enchanting, and it’s one of those great times where you (as an audience member) are discovering a movie star for the first time. As corny as it is (I’m a fan of the movie - sometimes even for that reason), the moments that need to work in The Princess Diaries work because she’s so damn charismatic and innocent. It’s the same thing as the Audrey Hepburn character in Sabrina. Besides her beauty, my favorite aspect of Hathaway’s performance as Mia is that she’s convincingly a huge dork. She looks like a girl with 100 charming secrets that she’s been hiding from the world. Garry Marshall really knew what he was doing when he decided which actresses were deserving of a showcase. The sequel has its charms (she ends up with Chris Pine at the end, making them 2004’s best on screen couple), but it’s not a match to the original. I will say, though, I get chills at the end of Princess Diaries 2 when they put the crown on Mia and officially name her Queen of Genovia. It feels right. Like Obama or Aragorn. You’re up! Alejandra: I completely agree with everything you said about The Princess Diaries. I don’t know that anyone can watch both movies and not fall absolutely in love with her in them. She does quirky in a way that’s not too Zooey Deschanel and is therefore believable. I really love watching Mia live up to her potential in those movies, and I especially love that even when she becomes Queen she is still the Mia we were introduced to at the beginning of the first movie, only more refined and polished. Having read the books as a young girl, adult me doesn’t know that they could have cast anyone better and is super glad we got what we got. 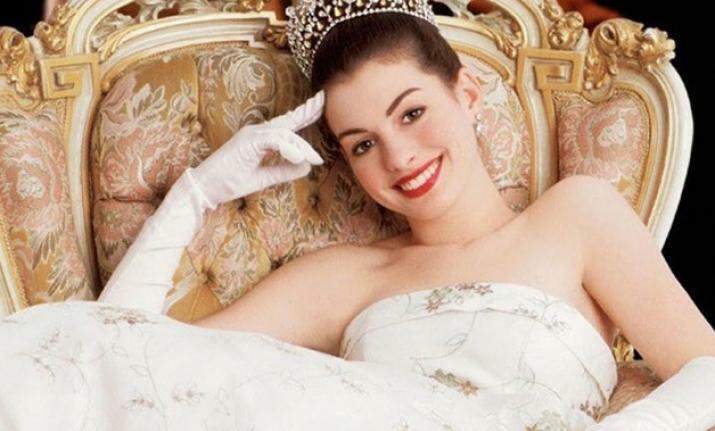 Can you believe we have The Princess Diaries to thank for both Anne Hathaway AND the best Chris? While I love all of the Hatha-films (that will never be a thing, will it?) 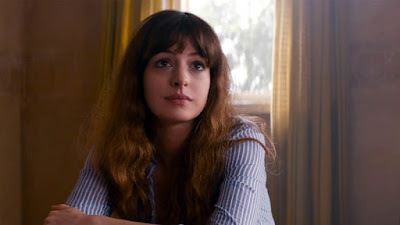 we’ve talked about so far, I am here to boldly declare that we see Anne at her best in Colossal. I know we see her play super flawed characters constantly (Rachel Getting Married, Les Mis), but Gloria might be her most multifaceted role to date. She is selfish, toxic, initially apathetic, and I still find myself totally rooting for her despite how awful she would be to be around in real life. She does almost nothing to help herself, which usually makes it hard to care about characters. However, the guilt and desperation Gloria feels when she realizes the harm she is causing to others makes her wildly sympathetic because it shows that she still cares about people despite not caring about herself. Hathaway has to play the (literal) monster and hero of the same story, and does so very convincingly. I could watch Colossal a million times for her performance alone, but the film has so many other amazing things to offer. It feels extremely empowering by the end and has what I would argue to be Jason Sudeikis’ best performance as well. Colossal is definitely a shining spot in Anne’s career and I think most people would agree on that. What would you say is another? Adam: Colossal rules. I appreciate that Gloria is a mess, but a mess on her terms. Multiple men in that movie are trying to fit her into their image and she refuses to comply. It touches on something common in life, where people try to fix an individual who has a problem when it’s really up to that person to turn the tide for themselves. I think the casting of Anne Hathaway in Colossal is so brilliant. She’s an actor that many people don’t like and here she is comedically commenting on that by playing a woman who ruins everything (i.e. causes destruction in South Korea) by being herself. It shows a self-awareness in her acting that she uses to throw back at the audience and show a new facet. My next pick is one you mentioned briefly, and that’s her role as Kym in Rachel Getting Married. It’s one of the first times in Hathaway’s career where she’s not playing a character we’re meant to like and it reveals a depth and range to her acting that is exciting and new. She does that consistently, and it’s my favorite thing about her as a performer. 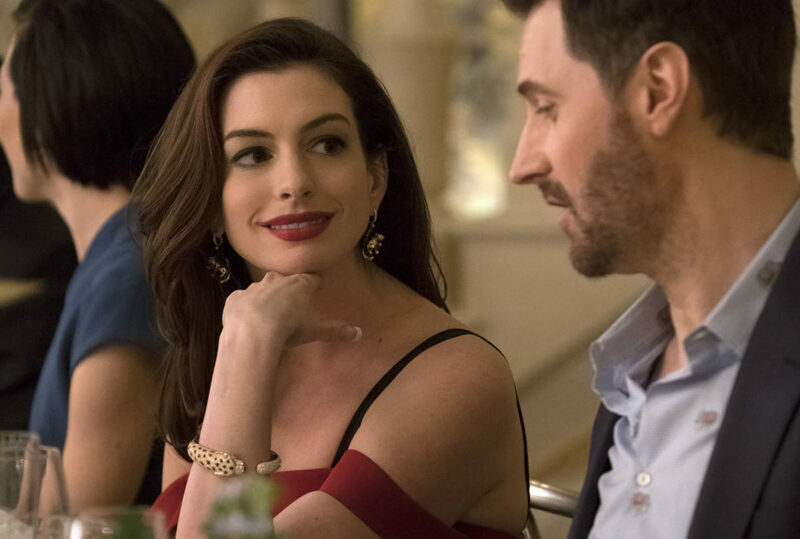 Going into Rachel Getting Married, I was very much in the bag for Anne Hathaway so I wanted to excuse or forgive Kym’s behavior, but Hathaway fearlessly doubles down on the unsavory elements of Kym. It’s a really terrific performance. The movie itself is quite something (the free-flowing nature and music are easy to get caught up in) and it’s one of my favorites in Jonathan Demme’s filmography. 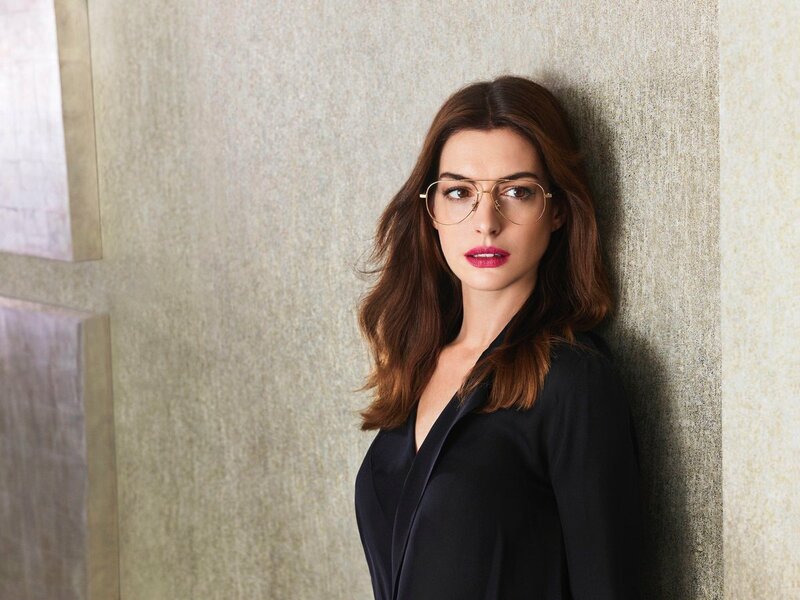 Now is probably a good time to mention my big theory about Anne Hathaway's career that I teased at the beginning of this article. I think some of her roles mirror another. This is one example. I think Kym in Rachel Getting Married and Gloria in Colossal are similar enough to see a throughline. Gloria is an older version of Kym who is a little bit more together and ready to put herself on the right path. It’s like Hathaway wanted to revisit a similar character but play it very differently now that she’s learned more as an actress. What’s your next choice? Alejandra: I love Anne in Rachel Getting Married. You’re right, and it was the first time I really saw her play someone who is hard to like. Still, when we’re introduced to Kym we see that she is trying to help herself, which is something we don’t see with Gloria until the end. Like you said, it’s as if she’s playing the same character during different stages of life or something. I would say Kym is a little more broody so I like her less than Gloria, but I love both movies equally. We get to see a side to Anne’s acting that other people might have not believed she was capable of at all. I wish I could pinpoint when exactly people started to criticize her so harshly, because I think she proves herself time and time again as an actor to be taken seriously with these kinds of roles. It’s crazy how everybody was wrong except you and me...crazy. Adam: It’s almost like it turned negative after Rachel Getting Married. She then did a run of Bride Wars, Valentine’s Day, Alice in Wonderland, Love & Other Drugs, One Day -- movies that people didn’t seem to like. Then she got a bump from The Dark Knight Rises and Les Miserables, which was sort of a double-edged sword. She won an Oscar but she also said “It came true” when she accepted it and that made people barf. It didn’t help that it was on the same night and Jennifer Lawrence tripped on that flight of stairs at the Academy Awards and became America’s Sweetheart until everyone decided she was no longer good either. The world is a vampire. I think it’s mostly a case of people wanting to tear down someone they built up. Alejandra: Yeah, I can see that. But I don’t think she was the problem with any of those movies so it’s unfair she was subject to so much hate -- at least in my opinion. My last choice is one that is very special to both you and me, and one that I feel a little crazy for loving since I think only five people total did. 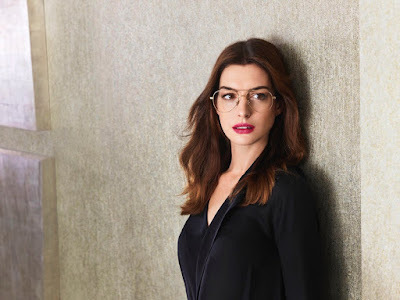 The Intern stars (obviously) Anne Hathaway and my beloved Robert De Niro and is a super heartfelt story about unlikely friendships and growth at any age. I don’t know if they just hit it off extremely well or if they’re both just excellent actors, but they are friendship goals in this movie. The chemistry of their relationship is the very best part of the movie and it’s enough to have made me fall totally in love. I like to think they still keep in touch. Like, De Niro sends Anne a meme here and there that only the elderly finds funny, and Anne LOL’s just to humor him. I also like to think that Jules (Anne) is actually Andy from The Devil Wears Prada but has changed her identity after becoming successful and finally accomplishing her dreams. Okay, that’s a reach but the point is that there’s a lot of fun to be had with this movie and how perfectly Anne and De Niro go together in this film is a testament to how perfectly she can work with anybody. What’s your last (but not least) pick? Adam: Yes! Jules is Andy but later in her career! I 100 percent agree. The Intern is a great depiction of how difficult it is to be both respected and liked as an executive. Jules isn’t scary at all despite that being the perception of her at her company. She is just smart and has a world of responsibility. I love how De Niro’s character admires that so much about her that he can’t help but build her up. He doesn’t tell her what to do. He just reminds her to be proud of her success. The Intern is a modern classic to me. It could play on TCM. It feels like a superb old-fashioned dramedy that glides on the “we got this” charm of its two leads. De Niro and Hathaway are great actors but also bona-fide movie stars and they bring that magnetism with them to this movie. My last pick is her work in Ocean’s 8. The movie is just okay, but Hathaway steals it and shows a comedic screwball energy that she hasn’t had before on-screen (unless you count The Princess Diaries). It’s the type of performance where you pay more attention to the movie because she’s in a scene. I read around the time of the film’s release that Hathaway chose to play her character (Daphne Kluger) as herself if she had bought into her own hype as a movie star. I love that she’s a vapid weirdo throughout, but at the end we learn she’s fully aware how playing into that image is to her advantage. I can’t remember it really well (the movie is pretty forgettable), but wasn’t there a line towards the end where she just blurts out she doesn’t have any friends or that she was bored as her motivation? The way she delivered that moment was so out of nowhere that it makes me hope she does more comedy in the future. Her next movie is called Serenity, where she appears to be playing a femme fatale. After The Dark Knight Rises, I can totally buy that. She can do anything as an actor at this point. Before we wrap, are there any other performances you want to single out or maybe even a type of role you’d like to see her attempt? Alejandra: We didn’t talk about Les Miserables in too much detail, and although she isn’t in that movie for very long, she absolutely steals it in one of her most moving performances. I also love her in One Day despite not completely loving the movie. This goes back to what I said earlier. Even when the movie is bad, she is good. I think that’s a pretty good indicator for when someone is talented at what they do. I’m really glad we got to talk about so many of her performances because despite always knowing what a wide range Hathaway can play, I think I just noticed that range is even wider than I already thought. I’m trying to think of a role she hasn’t played yet and it’s proving to be a little difficult, but I know she is full of surprises and I hope to get to witness them. Maybe a horror movie? Sign me right up for that. She’s one of the most talented working actors and I can’t wait to see what the rest of her career has in store. Adam: I didn’t think of it until you suggested a horror movie, but she does have a bit of a Wendy Torrance vibe! Good call. You’re the best, Anne. Keep up the great work.